When Kier Living contacted us regarding a new Cardiff-based complex (Cardiff Pointe) that they were working on, we were thrilled at the prospect of working with such distinguished property developers. After speaking with Rhys Thomas, Kier Living’s technical co-ordinator, the team at TimberTech’s Cardiff office sent out several composite decking samples so that the client could feel the quality of the product for themselves. Our products and services were recommended to Kier Living by a specialist roof terracing company that had already been contracted to the project. As you may or may not know, the products that we offer are especially good for roof terraces, and their low-maintenance beauty is perfect for high-calibre projects like this. After receiving their free samples, the team at Kier Living decided to go back to their Cardiff headquarters and discuss their options. 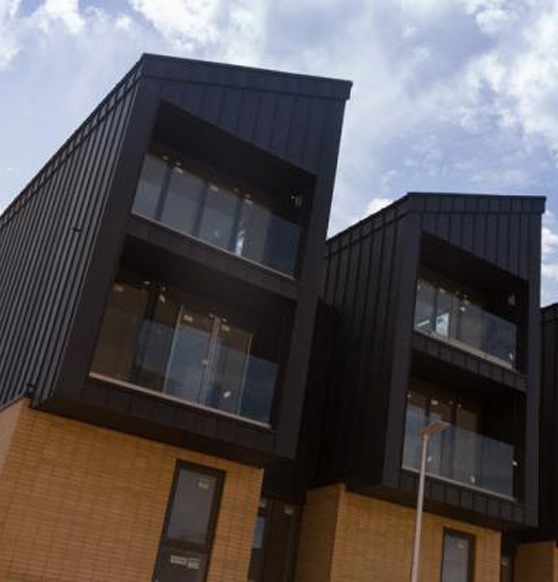 In the end, the team decided to go with our TimberTech boards in grey – a perfect choice, since the grey boards so perfectly suit the style and décor of the Cardiff Pointe development. The contemporary colour would give any space a modern breath of life, and it looks particularly well-suited to these new, ultra-modern homes. 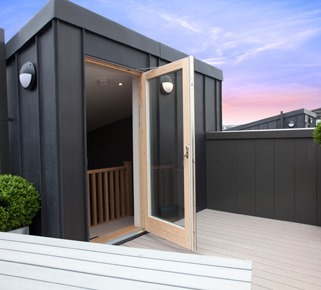 Once the Kier Living team were positive that our decking was a suitable match for Cardiff Pointe’s high-end luxury apartments and houses, they chose to use our product on their properties. 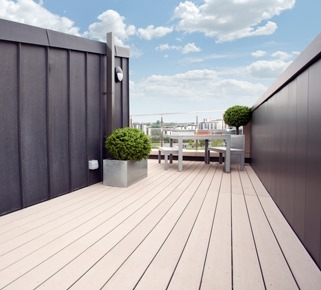 Our spectacular decking will soon adorn the stunning rooftop terraces of the Cardiff Pointe development, and its durable qualities will ensure that everything remains pristine! 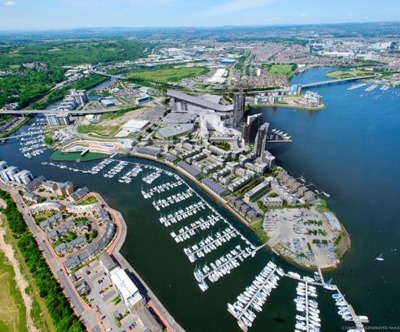 With phase 1 of the development due for completion in March 2015 and several phases to come, the Cardiff Pointe development is set to highlight the Cardiff Bay area as a beacon of luxurious living. We at TimberTech were happy to be considered and thrilled to be chosen for this exciting new venture – we are looking forward to seeing the finished project in all its grandeur! This has been a very special project to be a part of, and we cannot wait until the new residents settle in and start enjoying their beautiful new roof terraces. If you have a commercial decking project for us, call 029 2080 3756 or email commercial@timbertechuk.co.uk today!